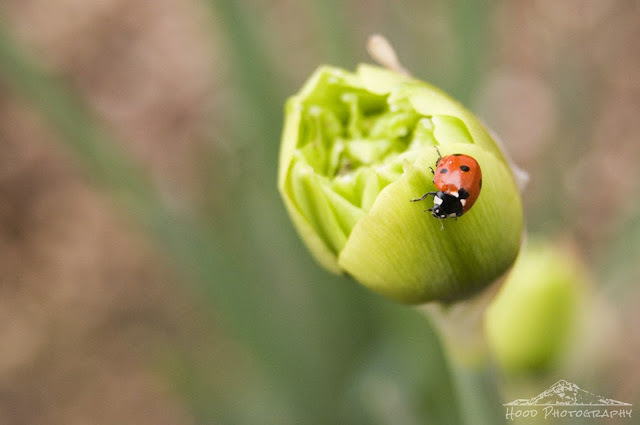 Not only did my daffodils decide to make an early appearance this year, but so did the ladybugs! This little guy was my first sighting of the year, months earlier than usual. Beautiful colour on the little critter, too! kiss in my school like to catch lady bugs. It was amazing how Oregon was in bloom already! Gorgeous shot and thanks for linking up. Cute pic! Crazy that there are daffodils and ladybugs out already. It's still too cold here in NW Arkansas for daffodils or ladybugs. However I do have a rose bush in the garage that is sprouting a few leaves. Nice image. Wonderful :) Wish I had more ladybugs in my garden! Ladybugs are a gardener's best friends!